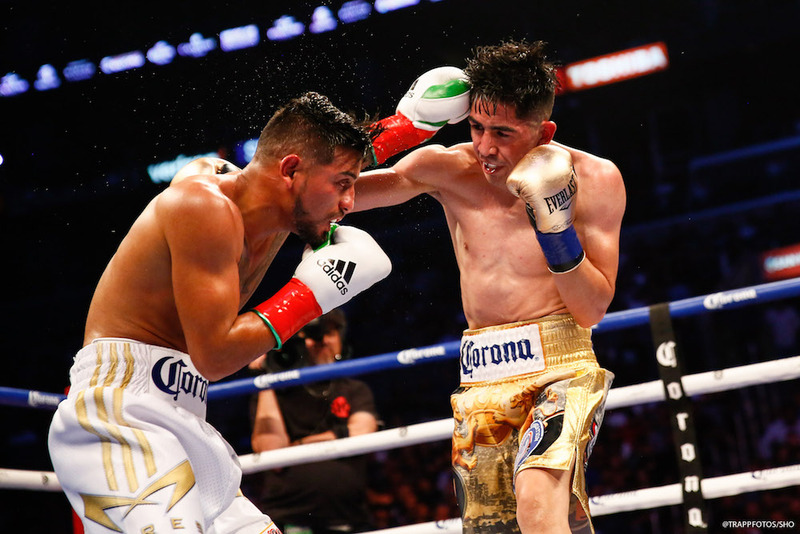 Los Angeles natives Leo Santa Cruz and Abner Mares turned in performances that eclipsed their first encounter, as both fight veterans emptied the tank in a thriller of a main event on Showtime. Santa Cruz, (35-1, 19KO) again outpointed Mares at the Staples Center, the same site as their 2015 bout, yet Mares put up a solid effort which the crowd of 12,505 was very grateful for, as the night’s co-main event between Jermell Charlo and Austin Trout was a dud that elicited boos. “It was a great fight. Another war like we said. I had to be smarter. I had to do what I had to do to win the fight,” said Santa Cruz, who now holds the full version of the WBA featherweight title after all three judges had it 115-113, 116-112 and 117-111 for the Rosemead, California resident. “It was a ‘Fight of the Year’ like I told you guys. We come here, we pleased the crowd. Win or lose, I don’t care. I’m here to please the fans,” said Montebello’s Mares, who had notched two wins in-between his first loss to Santa Cruz and now stands at 2-2 since 2015. 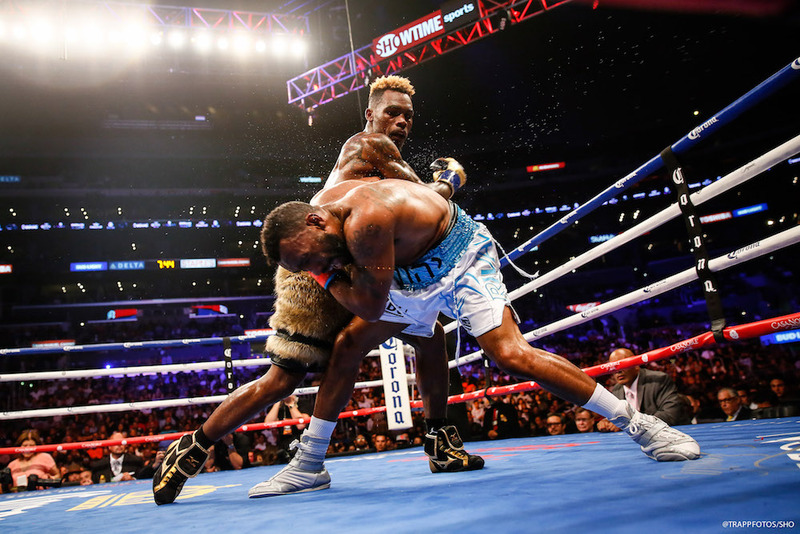 In the nights co-feature, WBC super welterweight champion Jermell Charlo dropped Austin Trout early yet carried the New Mexican native all twelve rounds in a lackluster fight. “I went to fish, I tried to get some trout but I couldn’t catch him on the hook. I know they’re used to seeing me knock boys out but at least they saw me take care of business,” said Charlo, (31-0, 15KO) who retained his belt yet saw his four-fight KO streak come to an end. Trout has faced both Charlo’s and is now 1-3 of his last four fights. Showtime announced prior to the night’s televised action via press conference inside the Chick Hearn press room a match between lightweight champions Mikey Garcia and Robert Easter, Jr., set for July at the Staples Center.